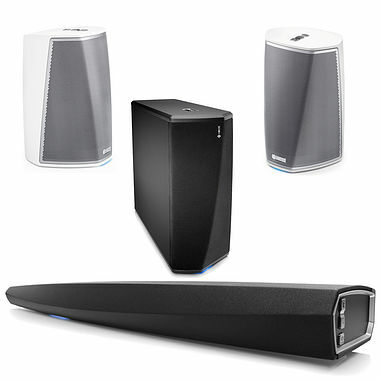 Our range of wireless speakers allow you to stream music from your phone, iDevice, Android device and laptop. These are essentially active speakers (speakers with an in-built amplifier) with the added benefit of wireless capability (usually Bluetooth). Many of these wifi speakers also feature the better "Bluetooth AptX" or "Bluetooth AptX CSR" for even better wireless sound quality.